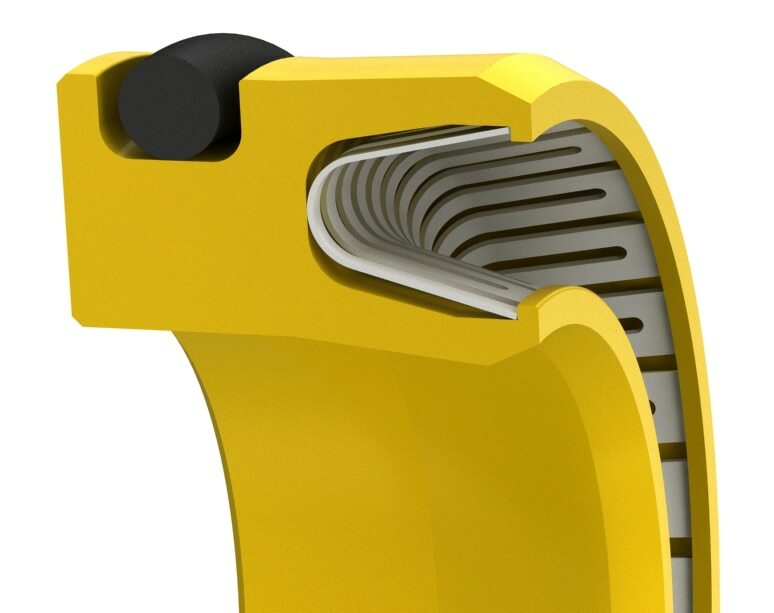 Single-Lip V-Spring-loaded rotary shaft seal for extreme environments. This seal is for high PV applications characterized by high pressure and low speed. This seal has a small cross section and is available in many materials specially suited to handle aggressive chemicals and environments. Also available in small quantities for repairs and seal replacement in 1 to 3 days. Size Table (Inch)Standard sizes listed below are preferred sizes for new design applications; however, we offer any other seal size as required.Seals are available for any shaft diameter size in 0.001 inch increments without tooling charges, including Functional Range. Standard Range Functional Range Tolerance * D= B= D, B Tol.+0.005/-0	 max. *Standard cross-sections (CS) listed and non-standard sizes can be provided for any shaft size up to 63 inches. **For pressure above 3,000 psi or temperature above 200°F, contact engineering for clearances. 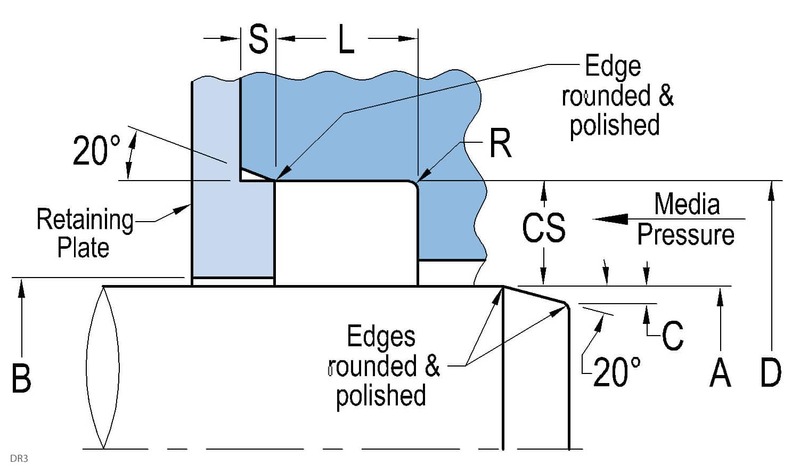 Surface finish: Shaft (A) plunge ground, zero lead Ra 6-12µin Housing (D,L) Ra 16-32µin. Shaft material hardness 55-65RC. See Technical Info for more specific information. Size Table (Metric)Standard sizes listed below are preferred sizes for new design applications; however, we offer any other seal size as required. Seals are available for any shaft diameter size in 0.01 mm increments without tooling charges including Functional Range. *Standard cross-sections (CS) listed and non-standard sizes can be provided for any shaft size up to 1600 mm. **For pressure above 210 bar or temperature above 95°C, contact engineering for clearances. Surface finish: Shaft (A) plunge ground, zero lead Ra 0.15-0.30µm Housing (D,L) Ra 0.4-0.8µm. Shaft material hardness 55-65RC. See Technical Info for more specific information.